April 16, 2019 Good News! Considering some authors' requests, the submission deadline has been extended to May 25, 2019. Welcome you to submit the paper! Feb. 22, 2019 Good News! The publication has been confirmed. Accepted papers will be published in a volume of Key Engineering Materials (ISSN: 1662-9795). May 11, 2018 Good News! 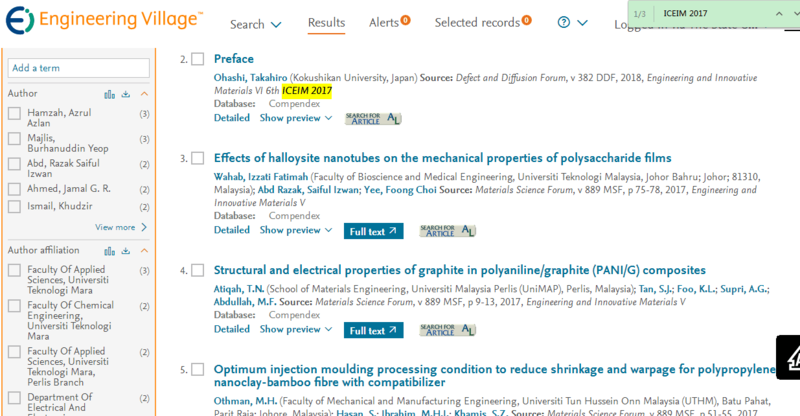 Accepted papers in ICEIM 2017 has been indexed by Scopus. May 7, 2018 Good News! Accepted papers in ICEIM 2017 has been indexed by Ei Compendex. Jan. 16, 2018 Good News! Accepted papers in ICEIM 2017 has been online in TTP Press! Dec. 1, 2017 Good News! Due to some technical reasons, the conference date has been changed to Sep. 10-12, 2018! September 14, 2017! ICEIM 2017 has been held in Setagaya Campus, Kokushikan University, Tokyo, Japan on Sep 3-5, 2017! May 23, 2017! ICEIM 2016 has already been indexed by Ei Compendex and Scopus! Feb.15, 2017! The ICEIM 2017 can be checked on SCIENCEMEETING ONLINE, which is run by the Chinese Ministry of Education! Feb. 6, 2017! ICEIM 2017 has been online in TTP conference list. Jan. 3, 2017! The ICEIM 2017 will be held in Setagaya Campus, Kokushikan University,Tokyo, Japan during September 3-5, 2017.